Starting today, we’re rolling out a new feature to Google Wifi that lets you measure how each individual device is performing on your Wi-Fi network. Knowing Wi-Fi coverage is poor in an area of your home can help you pinpoint the exact bottleneck when you notice a connectivity slowdown. 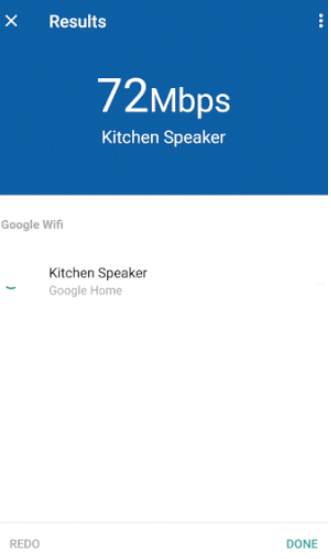 Then, you’ll know to move your Google Wifi point closer to that device or even move the device itself for a stronger connection. According to Google, in the past month, they “saw an average of 18 connected devices on each Google Wifi network, globally.” As more and more connected devices reach our homes, having a sufficient Wi-Fi signal throughout living areas and beyond are key, especially when it comes to growing smart devices. Click here to read our Google Wifi review—a 3-pack currently is on sale for $30 off at $409.99 at BestBuy.ca. Update: The Google Wifi update is now available and there is also iPhone X support. Click here to download it.